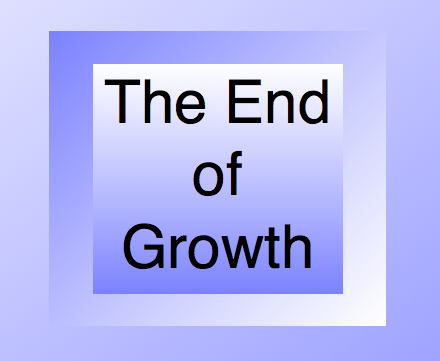 I have been reading The End of Growth, by Richard Heinberg. He has described the physical, political, geographical, industrial world as it has progressed through its historic stages. The present stage cannot continue the way it has in the past. As I read his analysis with increasing dismay, I realized that we are actually in transition to a new kind of growth. As we shift our practice to what is deeply within each of us, we find our true purpose. Within, are unlimited resources for unlimited spiritual growth. All the little steps we have taken to help uplift one another point to this kind of growth. We are entering a new kind of stage, no longer one where we can keep living outward, because those kinds of resources are limited. The new inner lives we all have the privilege of developing will lead us to different ways of supporting one another. We will lift each other up by our sense of divine purpose, and we will continue finding the unlimited spiritual resources to do so. This is only the end of one kind of growth. We are evolving into another kind.